to satisfy the world’s growing hunger for energy. However, that production must meet safety and regulatory requirements. Together, these ensure that the extraction of fossil fuels from any source protects equipment, people and the environment. It is important not to skimp in satisfying such requirements, as the cost of a safety-related failure can literally run into the billions. Fortunately, there are technological solutions that help meet this challenge in the form of advanced switches and transmitters. These can help maintain safe casing pressure, improve safety panels, and ensure that blow out preventers do their job. Beyond safety, applying the right technology can improve asset management and increase uptime. 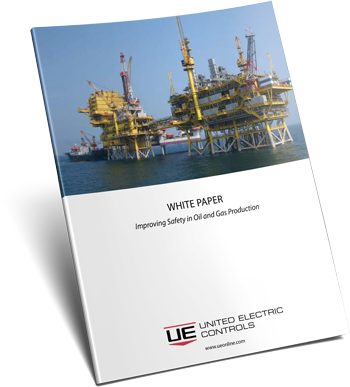 This white paper will examine the changing oil and gas production safety environment, explore solutions, and outline the advantages in addition to safety that can result.